Who would have thought that by studying the cooperation of animals, such a great production could come to life as the one that was observed live by tens of thousands of guests at the opening ceremony of the 17th FINA World Championships in the heart of Budapest? 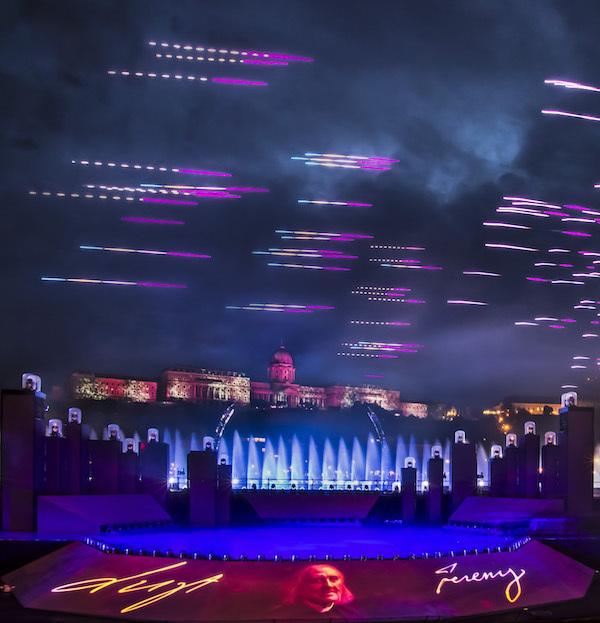 The extravagant dance of the fleet of 36 drones, along with the multidisciplinary arts performance – organized by Müpa Budapest and directed by Csaba Káel – was witnessed by millions of people around world on-screen. 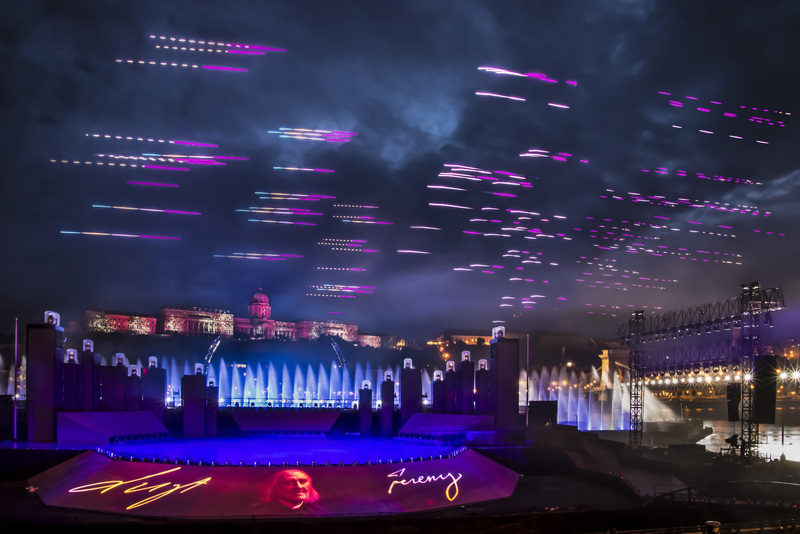 ‘We were honored to have been provided with the opportunity of introducing our extended fleet to the Hungarian audiences at such a significant event as the opening ceremony of the 17th FINA World Championships.’, said physicist engineer Gábor Vásárhelyi, researcher of ELTE and manager of CollMot Kft., the startup established especially for services provided by drones. I remember thinking how fantastic it would be to fly collectively over the Danube in our beautiful Budapest, when we were building the first copters. This dream has come true at last. The team has been rehearsing its performance for the opening for months before the event. ‘When we received the invitation, the organizers already had crystal clear ideas about how the ceremony should look, and wanted a stage constructed of barges on the Danube as a key feature, while part of the visual effects had to be placed above the stage and the river. Safety always comes first with us, but this time, we not only had to guarantee the safety of bystanders, but also had to protect our copters. Flying over water always holds greater risks compared to land routes. We have done everything at our disposal to ensure that the multiple protection technology of the drones would not let us down’, said Tamás Nepusz, IT manager of the team and chief designer of the drones’ self-developed software. 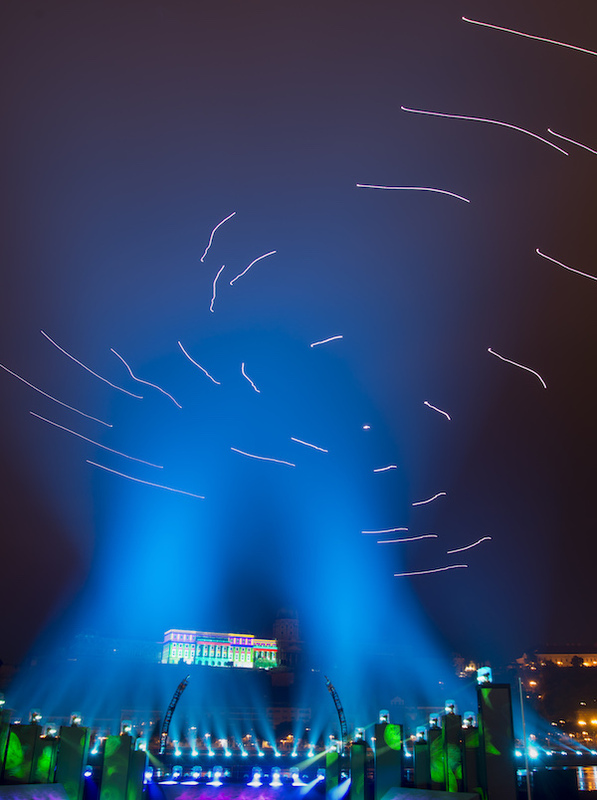 The dancing light show of the drones was an indispensable part of the spectacle, for which the team had to synchronize the drones’ internal clocks to millisecond accuracy. The visual presentation of the first scene was based on the request of the directors. ‘I was given a free hand in designing the light show of the first scene created to fit Franz Liszt’s Hungarian Rhapsody No. 2. During the first phase of the planning, I usually use very few colors to mark the key moments of the composition we’re working with. Fine-tuning only comes later on. The more I listen to the music, the more meaning I hear into it, inspiring me to achieve as perfect a visual result as possible,’ László Bihari, the light designer of the show summarized the design process. The team’s fleet debuted in 2014 as the first outdoor group of quadcopters whose members were capable of autonomously moving in formation. The fleet has significantly increased in numbers since then. These drones are custom-designed and hand built by the designers. The sinews of the copters – that is the software – enable the members of the team to not only be able to communicate with the base, but also with each other during their flight. ‘Similarly to the behavior of the birds, these drones are capable of deciding where to position themselves during their flight so that the team could synchronously move at maximum speed while avoiding all collisions. Just like inter-animal communication, inter-drone communication also helps increase safety. Whenever a drone detects a malfunction, it immediately starts back to the base without putting the other at risk,’ said Gergő Somorjai, engineering director of CollMot. CollMot Robotics Ltd. was founded in 2015 by a research team as a spin-off company at ELTE. Along with open-air drone shows combining art and technology, scientific assessments – including agro-industrial technologies and methods used in environmental protection – are also included in the company’s range of services. 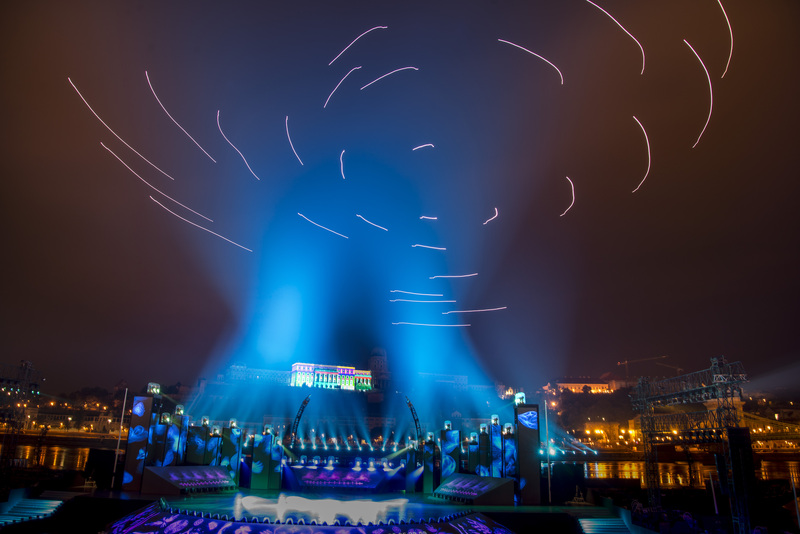 The team has recently presented its next scientific arts performance at the H.C. Andersen festival in Denmark, where the most spectacular element was the world debut of drone-launched fireworks.